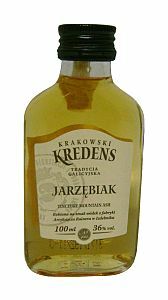 Jarzębiak is a fruit vodka made from rowan by extracting the fruit through infusion and then mixing the extract with other ingredients - natural caramel, wine distillate, fruit distillates. The drinking stories though involve drinking way more than "medical dosage" but still significantly less than "what could kill a seasoned Pole" - amounts like 250-500ml per person (say, one or two 0.5l flasks between two friends, that's really not all that much by Polish standards). Effects supposedly involved loss of consciousness, ER diagnosing critical blood pressure drop, with systolic pressure dropping below 60mmHg, applying pressure-rising drugs intravenously, and saving the patient from brink of death. Still, considering the source of these stories (drinking stories), I'd like to find if they have actual medical basis, or are just some coincidences. Browse other questions tagged medical-science natural-remedies alcohol . Can a lower core temperature, lower caloric intake and low blood pressure prolong life? Does drinking water at certain times help digestion, prevent high-blood pressure, strokes and heart-attacks?